The BabyBjorn Active Carrier made our Inhabitots favorite baby carriers list for winning us over with its ergonomically correct design that provides great support for both wearer and baby. We were equally impressed with their Oeko-Tex, Eco-certified fabrics and manufacturing methods, but we are thrilled to learn that they recently debuted their BabyBjorn organic line — which includes the BabyBjorn Baby Carrier Original, the BabyBjorn Baby Active Carrier, and the Babysitter Balance. The organic cotton fabric used to create the new BabyBjorn organic line complies with the GOTS standard and, like all BabyBjorn fabrics, is certified in accordance with Oeko-Tex, Standard 100, class 1. 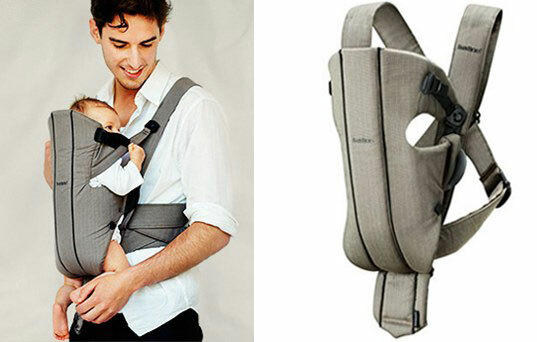 The BabyBjorn Baby Carrier Original allows parents to safely carry baby close to their chest, leaving their hands free. The original carrier also supplies excellent support for baby’s back and neck, and ensures that baby’s legs and arms are in a physiologically correct position. As baby grows, the head support on this carrier may be folded down so he/she can face forward and enjoy a view of the world. The BabyBjorn Baby Active Carrier has the same features as the Original, and additionally boasts optimum weight distribution for busy parents on the move, due to the comfortable lumbar support and the broad, padded shoulder straps. Last but not least in the new organic line is the Babysitter Balance, which allows baby to rock comfortably in his own little organic seat, which also folds up easily for convenient toting. The BabyBjorn Active Carrier made our Inhabitots favorite baby carriers list for winning us over with its ergonomically correct design that provides great support for both wearer and baby. 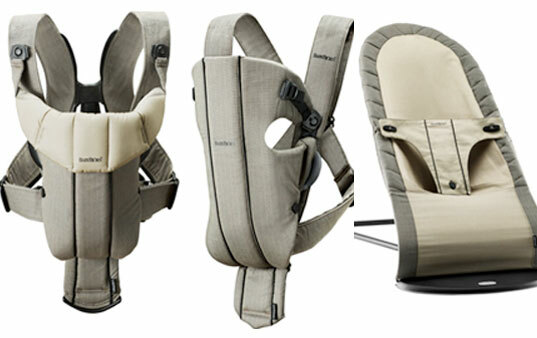 We were equally impressed with their Oeko-Tex, Eco-certified fabrics and manufacturing methods, but we are thrilled to learn that they recently debuted their BabyBjorn organic line -- which includes the BabyBjorn Baby Carrier Original, the BabyBjorn Baby Active Carrier, and the Babysitter Balance.